Do I need to add anything aside from the press release? Island of the Mega Shark follows famed shark experts Jeff Kurr, Andy Casagrande and Dickie Chivell as they travel to the volcanic Pacific island of Guadalupe, off the west coast of Mexico's Baja California peninsula, home to some of the largest Great White sharks on earth. Kerr, Casagrande and Chivell search for one of the largest Great White sharks ever recorded with new technologies and innovative methods. TIBURONES: SHARKS OF CUBA (WT) Airing Tuesday, July 7 at 10PM ET/PT70 years after the largest Great White shark was caught off the Cuban coast, a 21-foot Great White named “El Monstruo.” A first ever for SHARK WEEK, a shark expedition in Cuba that brings together American and Cuban scientists in search for a great white shark population in an unexplored area of the world, untouched by man for decades. Filmmaker Ian Shive and a team of shark researchers headed to Havana earlier this year because of El Monstruo, and while searching Cuban waters for these Great White sharks, Shive and his team for the first time ever electronically tag a rare species of shark. Said to be the deadliest great white shark of all time, “Submarine” is a 30 foot great white that has terrorized the shores of South Africa for decades. Locals believe that this shark is responsible for countless fatal attacks, but its existence has never been proven. Shark After Dark will return for its third consecutive year with an all-new host, award-winning film director, producer, writer and actor Eli Roth (“Inglourious Basterds”, “The Green Inferno,” and “Knock Knock" amongst other projects). For five consecutive nights on Sunday, July 5 to Thursday, July 9, Roth will bring his unique style to Shark After Dark and make his mark on SHARK WEEK with celebrity guests, shark fans and shark experts, among many others. 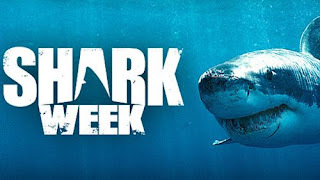 Additionally, Roth will look back at some of the highlights from SHARK WEEK and look ahead to give viewers a sneak peek at the next day’s SHARK WEEK programs.